A personal illustrated new year’s resolution to ring in 2015. Black Math kindly asked me to illustrate them a holiday poster and I kindly obliged. I helped Giant Ant with some styleframes and character art for a pitch about energy efficiency in winter. I leant a hand to Shilo creating some styleframes and character sheets for a pitch for a business investment client. A personal illustration homage to my favorite place in NYC, Central Park. Character art for a pitch with the always amazing people of Buck NY. AIGA asked me to illustrate 9 professions including a graphic designer. I naturally made them the hipster spirit animal version of each job. 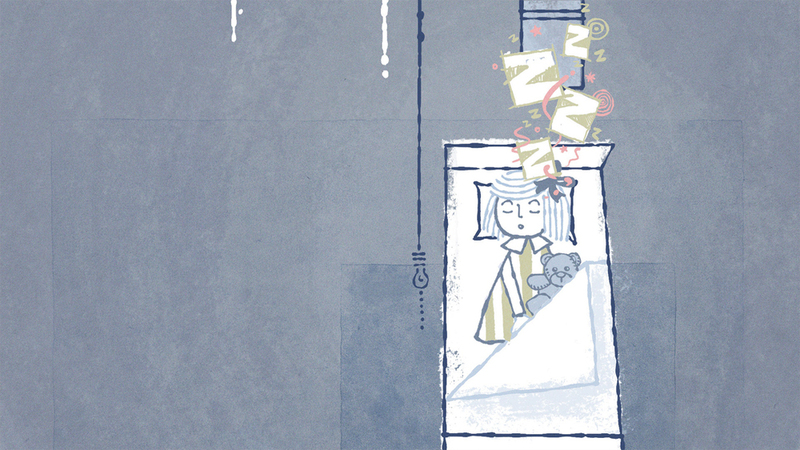 Some charming styleframes and character sheets for a Huggies app that I did with The Mill Chicago. A personal series of abstract explorations that I free associated. Buck NY invited me to contribute original art for their annual charity art auction. I love creating art for a good cause! Some stills of the Progressive spots I co-directed while at the Mill NY. The spots starred the amazing Chris Parnell, or Parns as he’s known in the hood. Me and the ice sculpture we had made. A personal illustration to help vent some creative frustration I had at the time in a light-hearted way. I teamed up with Aran Quinn to create some characters for an AICP party the Mill NY hosted for clients. Aran did a bang up job bringing these crazy coked up 70s inspired cast. I loved the Place Beyond the Pines so much that I had to draw a scene from it. Some funtastic styleframes and character sheets from an exciting pitch we competed for while I was staff at The Mill NY. The incomparable Carl Addy of the Mill London invited me to contribute art for the Ciclope Film Festival in 2012. The poster mashed up characters from 4 iconic Mill spots from the last 20 years. Some styleframes from a personal short film that one day may get off the ground and come to life. Fingers crossed. I once imagined my buddy Aran “Shazz” Quinn as a teenage mutant ninja turtle on his day off skating through the city. Some pitch styleframes for a quirky Georgia Lotto pitch I designed at the Mill NY. A personal homage to my dream ride, the Toyota FJ62. McMurry commissioned me to design a full page editorial infographic piece for UPS about female drivers. I imagined a character as Shiva, the Hindu diety with six arms. GOOD magazine commissioned an info graphic poster illustration to organize a plethora of content relating to the epic Wilshire Boulevard in Los Angeles. 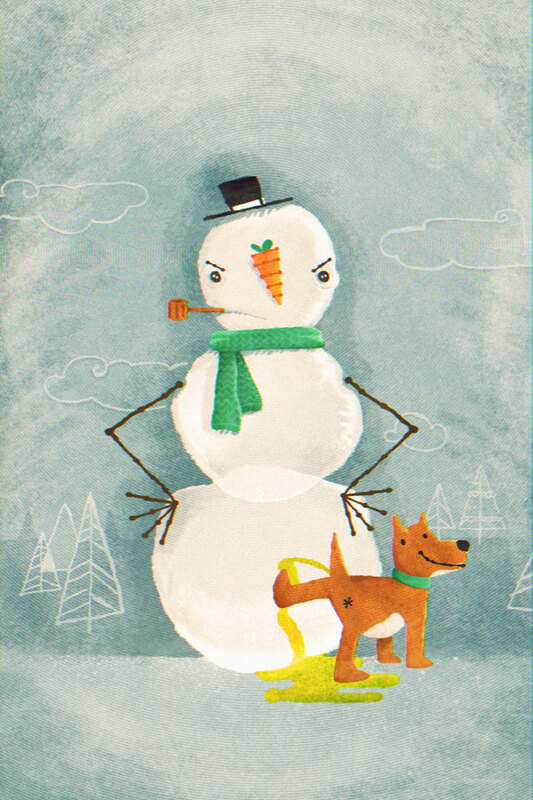 A couple personal illustrated Christmas cards we sent out to put smiles on faces for the holiday season. Styleframes and character art I illustrated for Havertys campaign I directed at the Mill NY. The Mill NY invited me to participate in their pro bono project “Posterity” that helped raise funds to fight famine in East Africa. I teamed up with my brother from another mother Bradley Munkowitz to create a ton of art that he animated and projected in downtown Los Angeles as part of a short film Black Swan directed. A personal series of jazz musicians. Some character versions for a Hertz pitch I did with Elastic. Some select styleframes for an awesome PSA for Educate Our State I co-designed with the lovely Leanne Dare while working with the wonderful folks of Elastic. 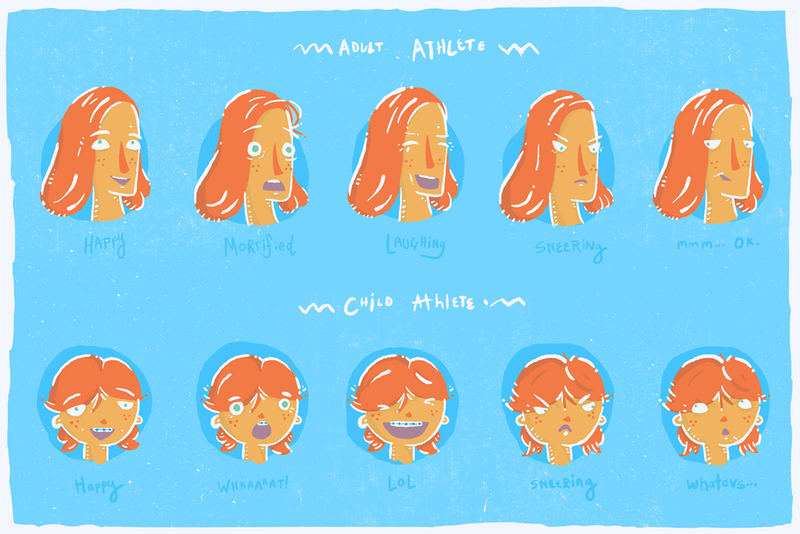 Some character sheets for the Educate Our State project I designed. My nephew Chase likes cowboys so I drew him one. A self initiated project to encourage people to use their own two feet to get around rather than their car. A simple statement in protest of war of any kind. A personal piece to motivate stronger regulation of gun control to help rise above an archaic right to bare arms. Sometimes I just like to arrange shapes into lovely patterns. Oh this, just a hand making a peace sign skating like a boss! KCRW asked me to design them a simple poster to encourage people to subscribe and keep the lights on. A personal illustration to motivate everyone to follow their true passion. A couple motivational posters designed well. A tongue in cheek t-shirt to poke fun at Angelenos who are notoriously flakey. SaMo, or Santa Monica is a lovely place. Let’s keep it that way. Some styleframes for an eHarmony pitch I designed for the sadly missed now defunct National TV. The script touted that eHarmony had a formula for selecting the perfect match for couples. The project that changed my career trajectory. While at Motion Theory I had the amazing opportunity to co-direct this charming little spot with Mark Kudsi for RBC. Since this project I have continued to pursue projects like this that revolve around honest stories and an illustrative aesthetic.